Shift Happens! Welcome To Kartra! For the past while, I have been aware the next big shift has been happening in the online world, with newer, more comprehensive platforms being created, such as Clickfunnels and New Kajabi, where various moving parts of an online business are brought together in one program. - Video hosting with pre- and post-Calls To Action. - Integrated analytics, so you have a complete track of your customer’s journey through the various parts of an online experience as they move through your funnels, emails, membership and product areas. You’re never too old to start a new venture! Today, you can start a successful business, regardless of your age and increasingly many "Older Folk" are doing just this. In a recent Article in The Guardian, Barclays Bank reported a 67% increase in women over 55, opening business accounts in the last decade; for those aged 65 and older, the number is up at 132%, the biggest rise of any demographic. I started Wisdom To Wealth Mastery just over 2 years ago, at the age of 68, after a long - 40+ years as a physician, an anesthesiologist. Now, in my seventies, you can guess I frequently am asked the question, “Why on earth did you transform your world from the invisible world of the Operating Room to the very visible world of online video marketing? A very good question, which I will answer in the my next blog. In this blog, I am going to look at Five Reasons to start a new business, regardless of your age. Are You GDPR (General Data Protection Regulation) Ready? Are you ready for the new data protection laws the European Union (EU) and United Kingdom (UK) are bringing into effect on May 25th 2018? If you have a business with clients, who live in the Eurozone or the United Kingdom, and an online component, such as a website or an email list, you will need to be compliant with the new laws, the General Data Protection Regulation or GDPR. Even if you live outside the Eurozone or UK, but have clients in the EU or UK, you will need to become GDPR compliant. Not sure what this will involve for your business? Suzanne Dibble is an expert small business lawyer in the UK, with years of experience in data protection. She has worked with Richard Branson on the data protection compliance for all his businesses. Facebook, Cambridge Analytica, Data Privacy - How will it affect you? How will the Facebook, Cambridge Analytica, Data Privacy controversy affect you? Well, that depends on how you use Facebook now and how you plan to use it going forward. I see this fuss as an example of what we humans always do - we create and push boundaries. We create new technology and for a while the new tech is like the Wild West, where anything goes. We keep pushing boundaries until there is an event, where we say - Hey, wait a minute, I’m not sure this is a good thing/I don’t like this/I think this is wrong/this has gone too far, then we pull back, take stock, re-evaluate and take off again on an adjusted course. Zoom Live, BeLive or eCammLive? In the past year, it has become ridiculously simple for you to use Facebook Live video to take your message to the World, with simple to use programs that offer the added features of interviewing guests and screen sharing a powerpoint or video. Programs with these features, such as Wirecast and OBS have been available for quite a while. Wirecast is a sophisticated but quite expensive platform and OBS, a free Open Source alternative, but they both require significant technical skills and are more "fiddly" to use. Last year, "simple" and "user friendly" were the buzz words, as Zoom added the option to go live, via Facebook. 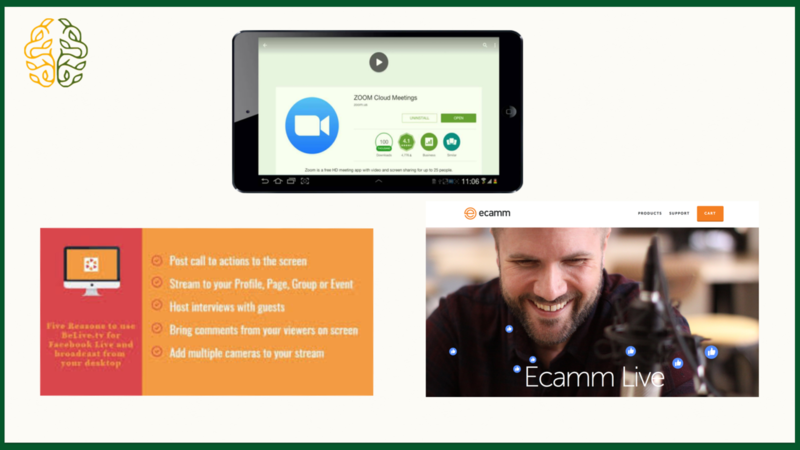 I love Zoom, a popular platform for video conferencing and screen sharing, which added the option to go live via Facebook, last year. Zoom is simple and user friendly, but the option to use Facebook Live comes in at $49.00 US/month. 2018 is the year of video - so was 2017, 2016 and 2015! For the past few years, each year has been announced as the "Year Of Video", but 2018 truly is the Year of Video - as will be 2019 but after this we might be heading into the "Year Of AR" - Augmented Reality - fun times! Video has been on the up and up for several years, but now at 80% of all web traffic, it dominates the web landscape, partly because video creation has become so simple. In 2017, two new programs came online that are game changers, when it comes to broadcasting live video, interviewing guests and sharing screens, because their tech is so simple and user friendly. Join me in my Facebook Group where I answer your questions about how to leverage video and take your wisdom to the world. If you aren't already a member of my Facebook Group, I invite you to join BeVisibleOnVideo . Click the link and answer the three questions about your video and biz needs and I will add you to the group. 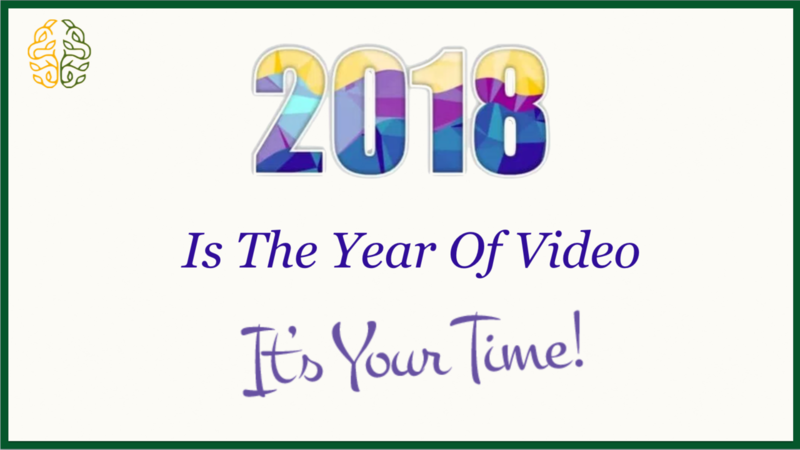 Grow Your Army Of Video "Mini-Me's" in 2018! Here's wishing you a belated Happy New Year and how is the New Year treating you so far? Are your Resolutions and Goals on track? Are you in the “Hell Yes”, “Sort Of’ or “I’d rather not talk about it” group, when it comes to your resolutions? For me, 2017 was a year, where I didn’t reach my goals. Anything knocking a solopreneur off the momentum perch slows your progress and last year, my momentum perch was rattled twice, as family events and the ‘surprise’ of breast cancer slowed me down for about six months. Here’s the good news follow up from my last email. Could Your Business Survive A Six Month Downtime? It’s been a while, since I posted a blog, as I have had some downtime following a couple of surgeries. My wonderful, protective, fierce friends took amazing care of me over the past weeks and made me rest and relax - something which apparently is a bit of a challenge. Finally, my energy is returning and it’s good to be returning to the World. My downtime gave me time to reflect. 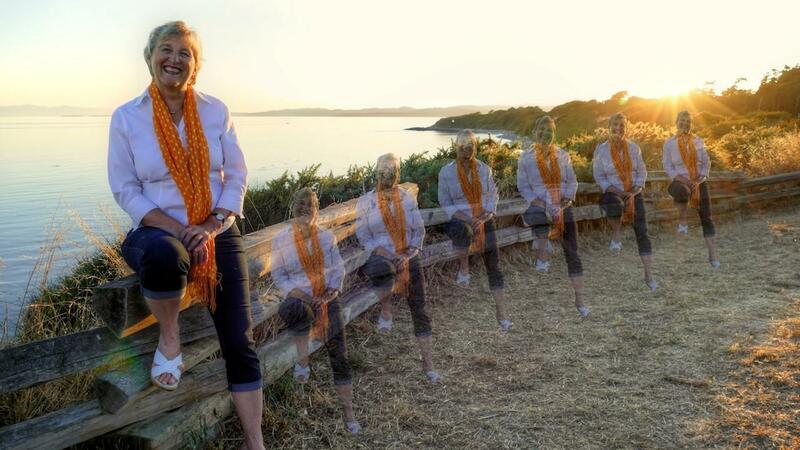 Did I have any light bulb moments - any “Aha’s” - in my reflections? No, no light bulb moments, more confirmations, which are just as valuable as light bulb moments. I thought about the rapid changes swirling around us and the impact of down time on a solo entrepreneurial business, where the business is dependant on the owner/entrepreneur being able to keep all running.